The natural beauty that you can see from the top of Eagle Peak is some of the best you will see in the Cascade Mountain Range and it will be an experience that you will never forget. 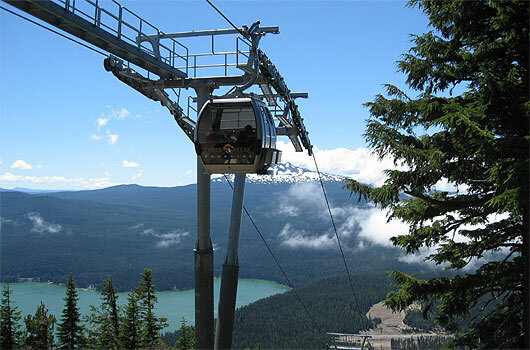 The Oregon Skyway gondolas offer unbeatable 360° views of pristine lakes and Cascade peaks. Our gondolas are fully ADA accessible, ensuring that everyone gets a chance to participate in the adventure. Ride to the top in comfort and maximize your fun! Each gondola can accommodate 2 full suspension downhill bikes and riders. The ride itself is approximately 11.5 minutes long, or 23 minutes roundtrip. 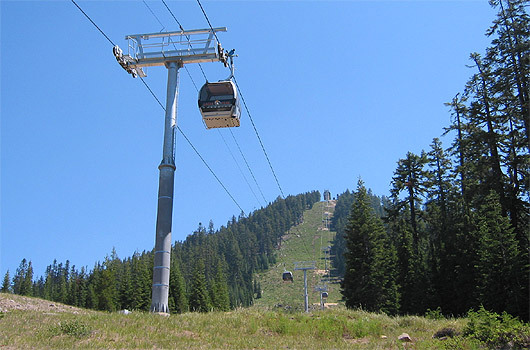 The Gondola covers a length of 5,270 feet with an uphill rise of approximately 1,520 feet. 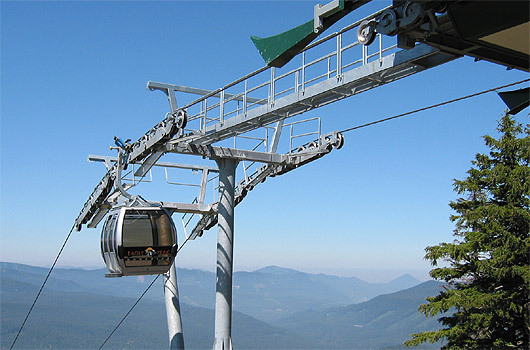 The six passenger gondola ADA accessible cabins are fully enclosed and quite comfortable and designed to provide a truly unique sightseeing experience as your ride to the top of Eagle Peak. You will marvel at the beauty of the Oregon Cascades. To the South Diamond Peak dominates the horizon. Odell Lake, a glimmering jewel is one of the deepest lakes in Oregon and home to some incredible fishing during the summer months. Once you reach the top of Eagle Peak there is a viewing platform for picnic lunches, or to capture your experience by camera or video. 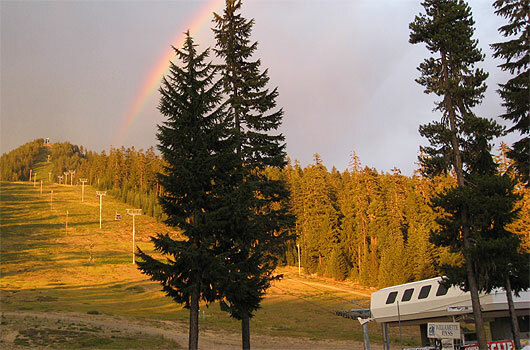 We encourage you to take the short hike to the top of our Peak 2 chair and view more of the Cascade volcanoes, more lakes and deep green forests.